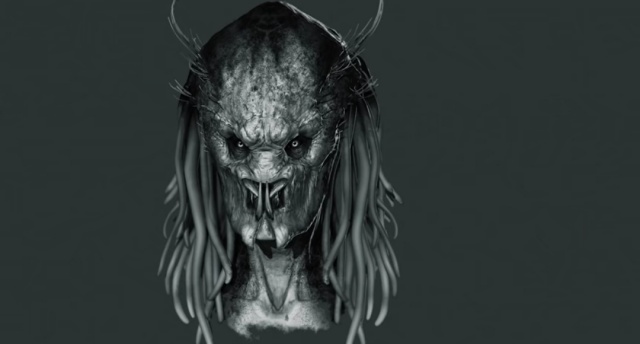 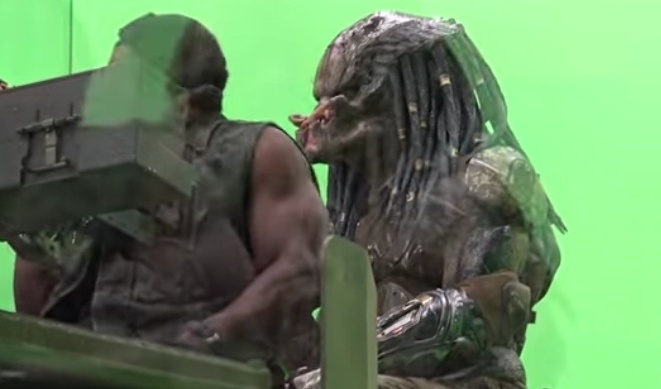 Studio ADI release Emissary Predator concept art and behind the scenes footage! 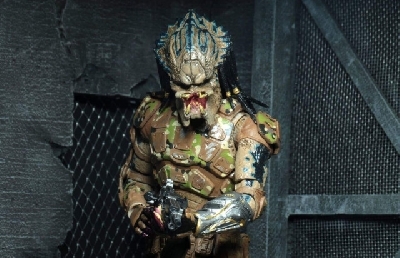 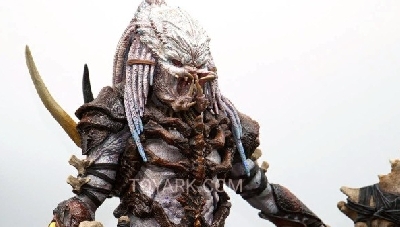 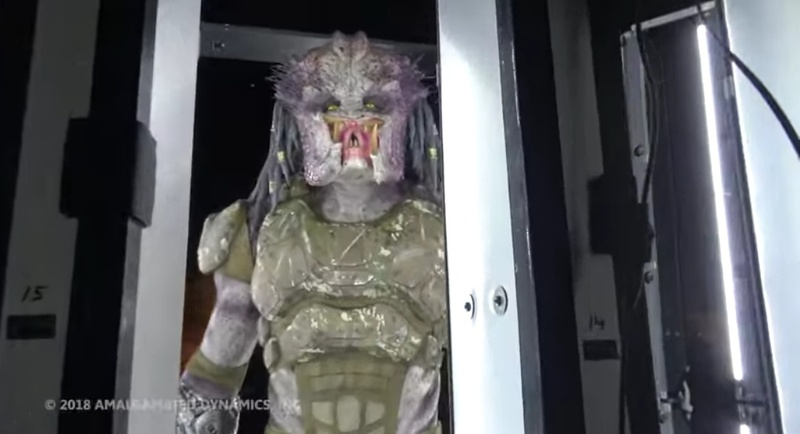 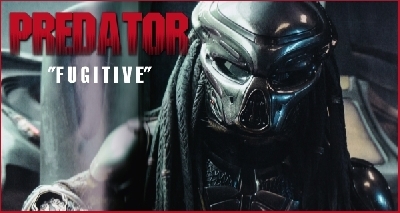 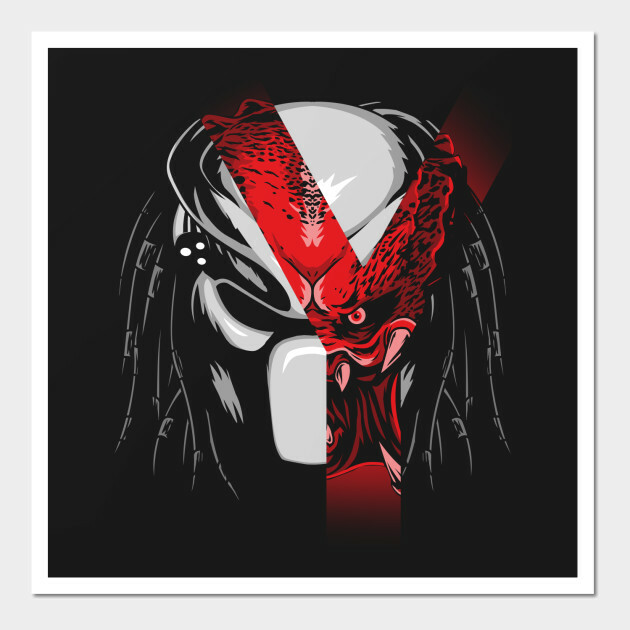 Amalgamated Dynamics (Studio ADI) created the practical effects for Shane Black's The Predator and one of the major projects they tackled for the film were the creation of the Emissary Predators - Predators which had abandoned their kin to aid Humans in their fight against the new Hybridized Predator faction. 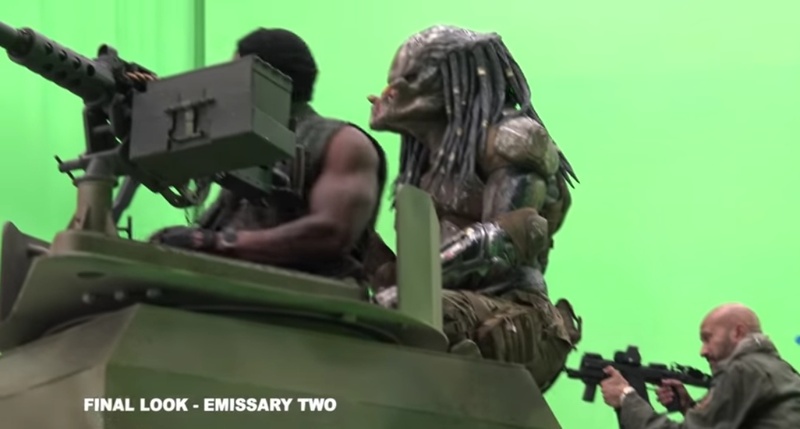 Sadly the footage and scenes featuring the Emissary Predators were completely cut from the film. 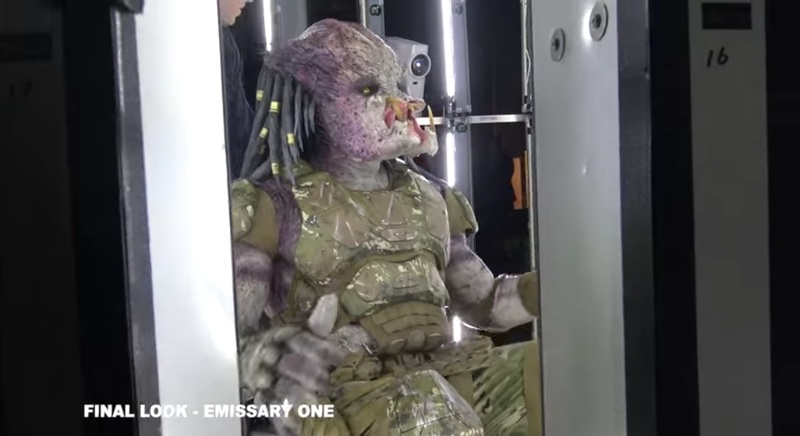 Despite their lack of inclusion in The Predator, ADI have shared a video recently to YouTube which highlights many of the concepts created for the Emissary Predators, along with some behind-the-scenes footage showing their Emissary Predator suits in action. 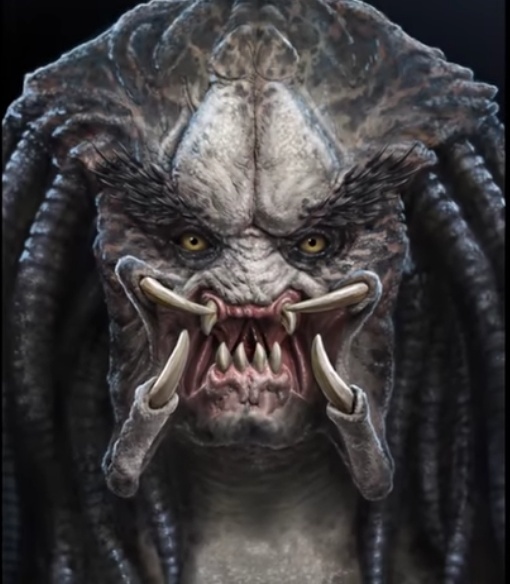 Check out some screenshots below and watch the video for yourself. 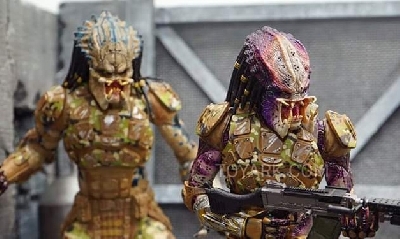 Fans looking to appreciate the Emissary Predators a little more will get a chance to via some awesome upcoming NECA figures. 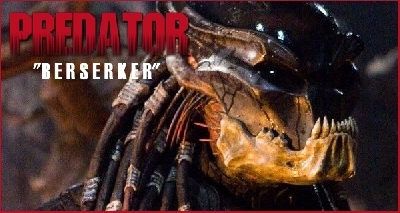 Early drafts of Fred Dekker and Shane Black’s script, THE PREDATOR, had two characters called Emissary Predators. 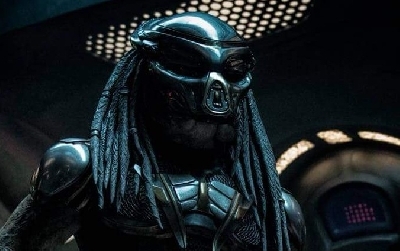 The Emissaries were of the Scientific Class, the ones who design the technology used by the Warrior Class. 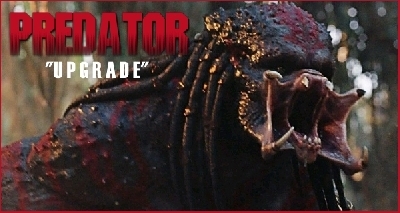 Our first instructions were to imagine them as older and wiser versions of the familiar Predators. 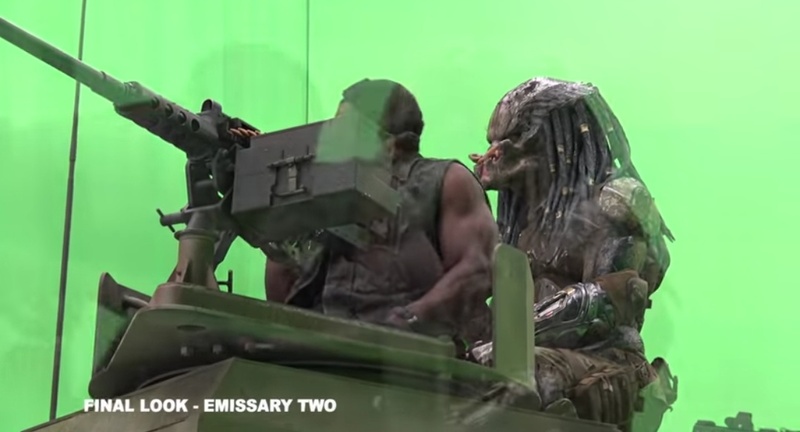 Later they became fearsome, and eventually they were not part of the final film. 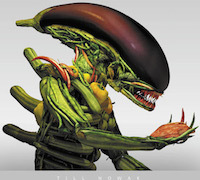 Still a fun design challenge! 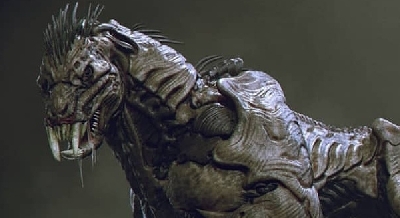 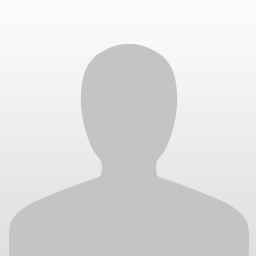 Thanks to the designers who contributed to the Emissaries shown here in this video– Farzad Varahramyan, Ken Barthelmey, Bryan Wynia, Mike Larrabee and Steve Koch. 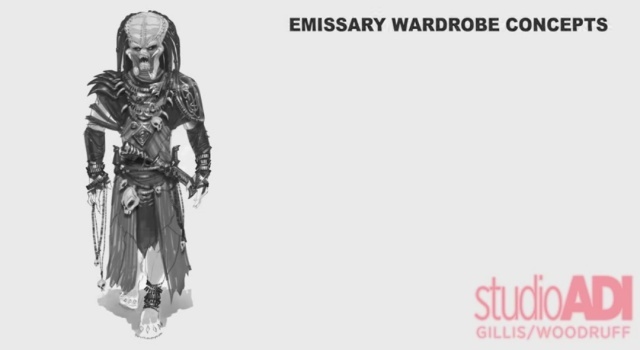 1 Fan responses to Studio ADI release Emissary Predator concept art and behind the scenes footage! 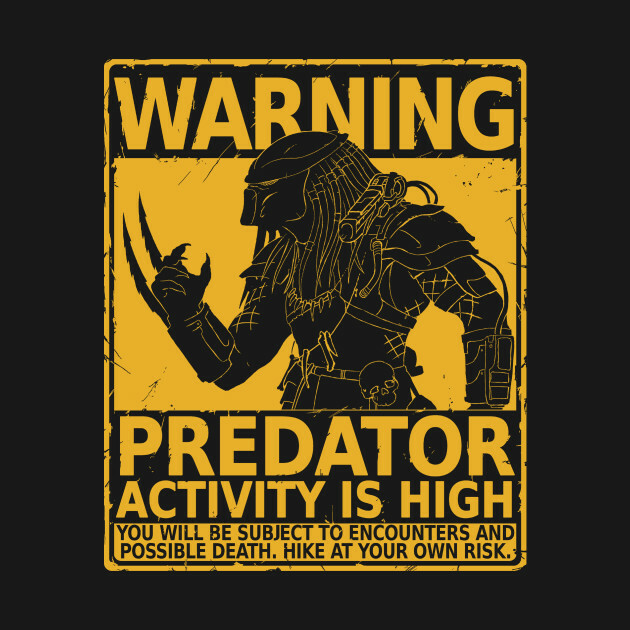 It would on one hand been interested in seeing them, but on the other it would maybe have not been ideal, but we have seen Predators work with Humans/Respect them in Prior Movies.